It’s a Thursday morning and we are all getting ready for another session of DIY Health. We (the local health visitors) have been working together – with the Children’s Centre,Bromley by Bow Centre, The Bromley by Bow Health Partnership and parents - for a while now, but each week is still exciting. This project aims to empower parents with skills and knowledge to manage life-limiting illnesses in children under 5 at home. It supports parents to access health services at the right time and at the right place - for example: pharmacists, health visitors, local children's centres or NHS 111 - for support in managing illnesses and accessing the right level of support when it is needed. In true co-production style it is not only the parents who are learning new things. 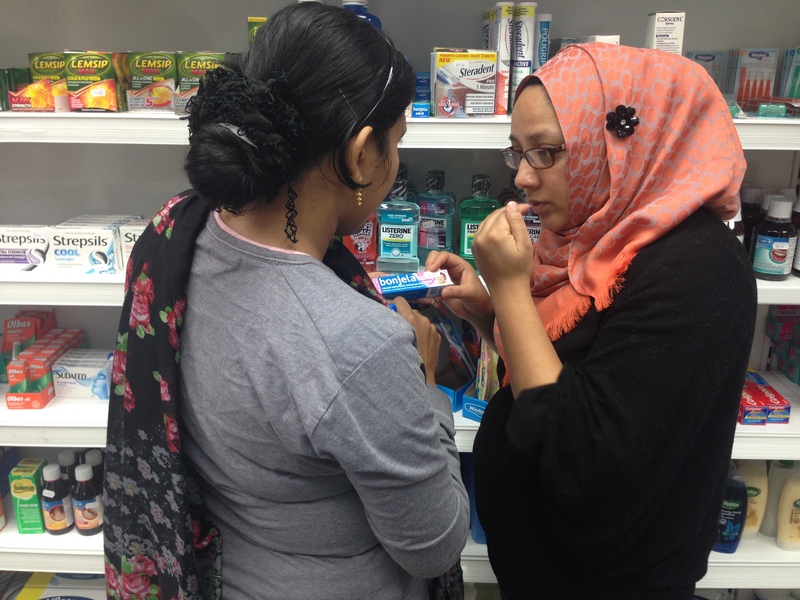 Fahima, one of the project health visitors, describes how DIY Health offers a novel approach to carrying out primary preventative work. Co-production entails developing equal and reciprocal relationships between patients and professionals. As such, we welcome the opportunity to co-facilitate with parents. A great example of this was when one of the parents used her previous experience as a dental nurse to help deliver a session on children’s oral health. The DIY Health project has so far received glowing feedback from parents and is going from strength to strength. We are currently looking at how we can expand to project to new areas, to help more parents manage their children’s self-limiting illnesses.